Railway Recruitment 2018 will be held to recruit candidates to the post of Assistant Loco Pilots and Technicians. Railway Recruitment Board conducts this examination every year giving candidates a golden opportunity to fulfill their dreams of joining the prestigious Government Sector. According to Railway Recruitment Notification 2018, a single application is to be submitted (common to all posts - ALP & Technicians) by all candidates who wish to apply for the mentioned posts. 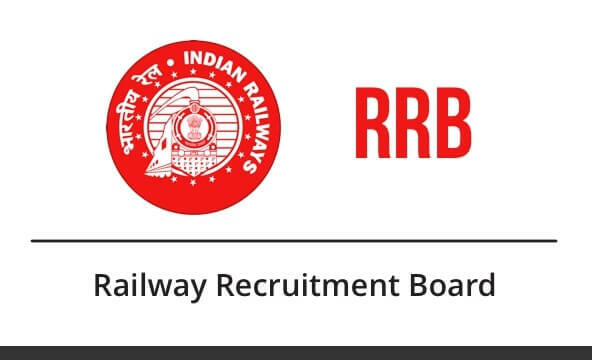 Railway Recruitment Board (RRB) released RRB ALP & Technician Stage 2 Admit Card on 17th January. Candidates can download admit card by clicking on the link mentioned below. Railway Recruitment Notification 2018 was released on 3rd February 2018. According to the Notification released, a total of 26,502 vacancies was declared. Candidates who wish to apply for the exam can do so by applying online for the examination. Aspirants can read the official notification by clicking on the link mentioned below. Railway Recruitment Board invites Online Application for the post of ALP and Technicians from 3rd February 2018. The Application Process will close on 31st March 2018. Candidates who wish to apply online can do the same by clicking on the link mentioned below. In case a candidate has any query regarding the notification or application process, he/she can clear their doubts by calling on the helpline number mentioned below. The Online Application for Railway Recruitment starts from 3rd February 2018 and will end on 31st March 2018. Candidates must pay Rs. 500/- as application fee (UR & OBC) for Railway Recruitment 2018. Candidates belonging to SC/ ST/ Ex-Serviceman/ PWDs/ Female/ Transgender/ Minorities/ Economically backward class are required to pay Rs. 250/- as application fee. As per the notification released by Railway Recruitment Board recently, a total of Rs. 400/- will be refunded to candidates belonging to unreserved category who appear in the exam. rs. 250/- will be refunded to candidates belonging to reserved categories if they appear in the exam. The initiative is taken by the Railway Recruitment Board to ensure maximum participation of candidates. A total of 64,371 posts are to be filled through Railway Recruitment 2018. Around 27,795 vacancies are declared for the post of Loco Pilot (ALP) and around 36,576 vacancies are declared for the post of Technicians. Detailed vacancy for Railway Recruitment 2018 is mentioned below. The Exam Pattern for Railway Recruitment 2018 constitutes of two stages of CBT or Computer Based Test followed by Computer Based Aptitude Test(Relevant Trade) and Document Verification. Let's have a look at both these stages of CBT in detail. Based on the performance of candidates in both Part A of the Second Stage CBT and Computer Based AT subject to their qualifying the Part B of Second Stage CBT. Railway Recruitment Board will be announcing the result for Stage 1 and Stage 2 CBT after the examination for the same has been conducted. Result will be announced for Stage 1 CBT first. Candidates who clear Stage 1 CBT will be allowed to give Stage 2 of Railway Recruitment 2018 Exam. Result for Stage 2 CBT will will be released after the examination for the same has been conducted. Keeping in mind the Railway Recruitment 2018, we are launching various Test Series, Classroom Programs and Seminars to guide you through your preparations. A candidate is required to be between 18-28 years to be eligible for Railway Recruitment 2018 exam.